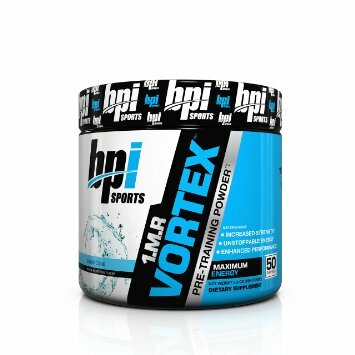 Let’s talk about snow cones.. No just kidding let’s talk about snow cone flavored pre workout. This post is for my girls working that 9-5 and getting to the gym super early/late, moms trying to balance kids, life, your other child (your husband) and the gym, and anyone who needs some energy and some motivation to get to the gym!!! I’ve never been a pre workout kinda gal, but my day starts at 5am, I get home around 7:15pm (as long as the LIRR is on-time, which is rare, but I’ll save that for another post) and I try to make it to the gym or hot yoga from 7:30-9. I don’t know about you, but by 7:30pm I’d like to crawl into bed and sleep straight through until the next morning, but I have more energy when I exercise, so I knew I needed to find a good pre-workout. I found BPI Sports 1.M.R. Vortex (snow cone) at The Vitamin Shoppe and it has helped tremendously!! I drink it on the train on the way home from work and by the time I get to the gym I have that tingly, “I need to keep moving” feeling! If you don’t have a sweet tooth this drink is not for you! It’s super sweet! They have two other flavors: sour watermelon and fruit punch. I haven’t tried them, but I’m sure they are good! I hope this pre workout supplement helps you to get excited and motivated about your workout like it has for me!